I finished a couple of custom brooches this week. 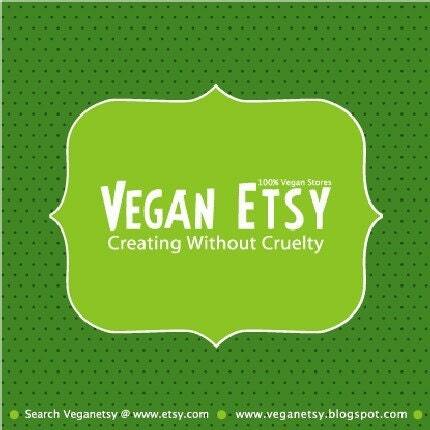 A great little gift for a birthday or stocking stuffer! You still have time to order for the holidays!!! Featured Item of the Day! $15 off her regular price...December 10th only! Keep all of your little treasures in this beautiful wooden box. 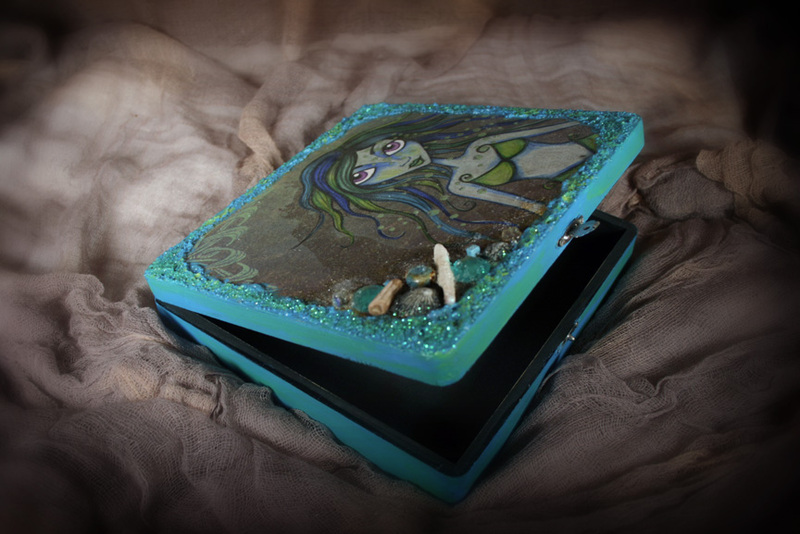 An original illustration of a green mermaid graces the top of this enchanting box. Illustration was drawn on beautifully printed cardstock that has been embellished with glitter. 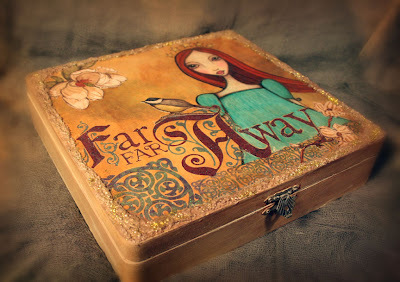 The sides of the box have a fabulous glass bead texture gel that has been sprinkled with faerie dust. 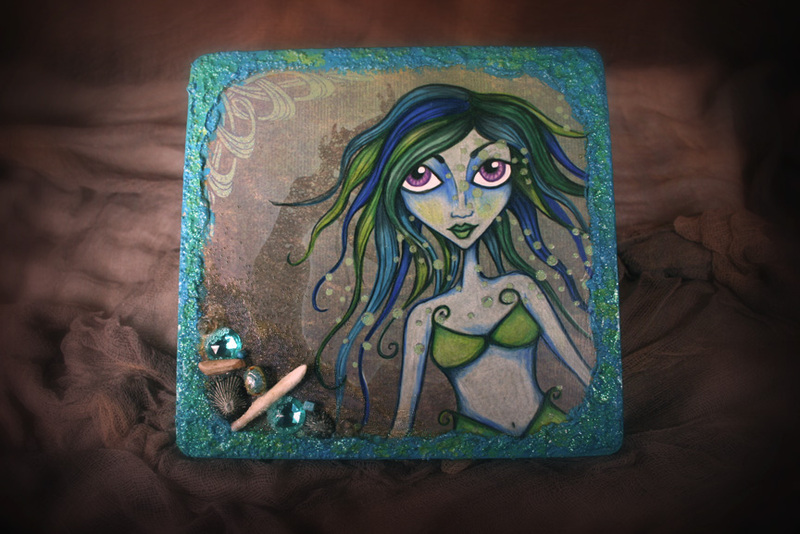 I have also added some of the mermaids favorite things...found shells, faux gemstones and shells. 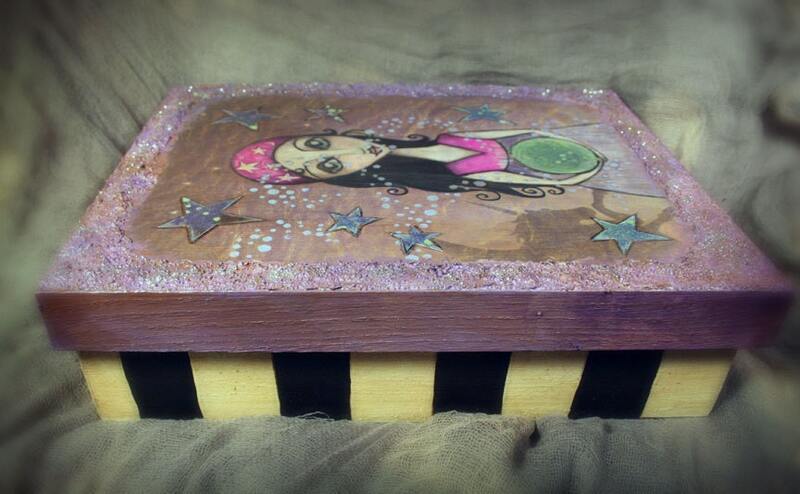 The inside of the box is painted in a flat black and given a slightly distressed look. 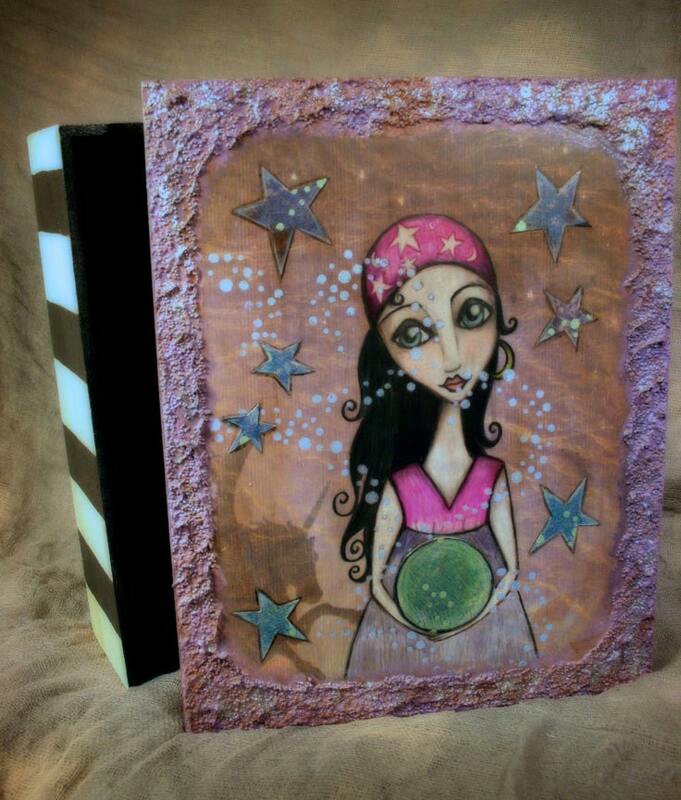 It measures 8.5 inches long x 8 inches wide x 1.8 inches high. Signed and dated on the bottom. ("The Green Mermaid" Elise 2011). I think I somehow completely forgot to share Alice! About a year ago I was taking one of my afternoon jaunts through my little town and found this wonderful square piece of wood. Apparently it had been left behind by a construction crew. I had recently gone to hear an artist speak about creating art with found objects. Well...I took this as a sign and snatched it up. It has been sitting in my studio since that day just waiting to be transformed. 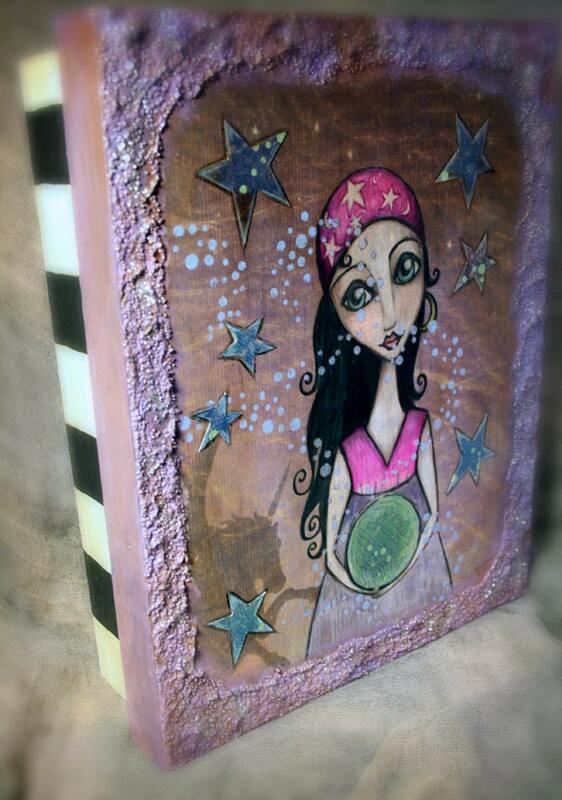 Finally, I had the idea of adding some paperclay to the wood. Paperclay works extremely well with colored pencils! After waiting several days for the clay to dry completely I took off and this is what I came up with.....hope you love her! 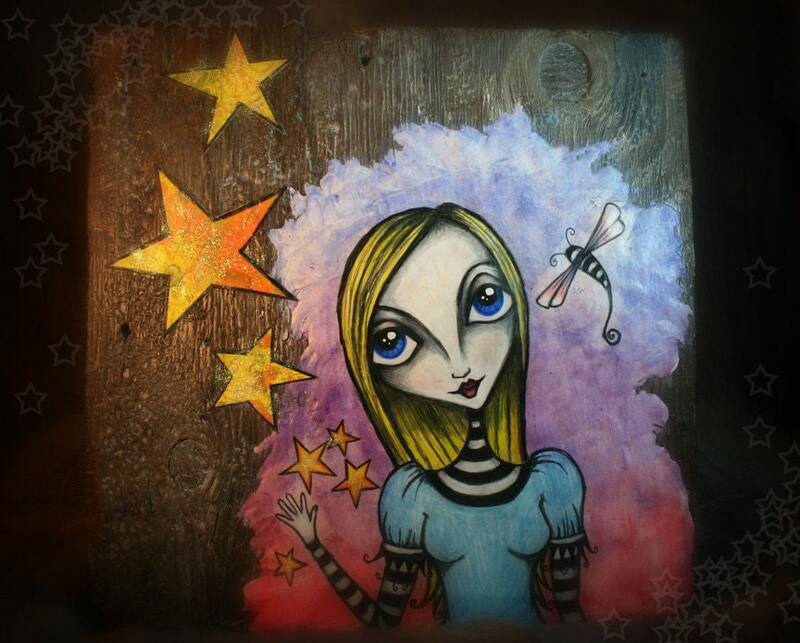 Along with the paperclay and colored pencils I used acrylic paint (to brighten her eyes), watercolor (for the sky) and cut paper and glitter for the stars. 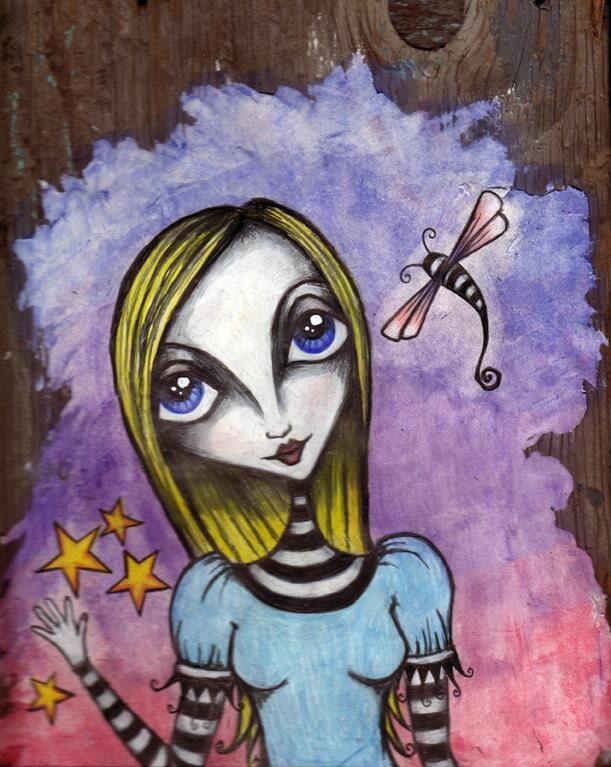 Alice has been lost in Wonderland for way to long......as she waves goodbye she has stars in her eyes. This piece is roughly 11.75 inches square and was created with colored pencils on paper clay and paper that was affixed to an upcycled piece of wood. Piece has been sealed with a hard coat for added protection. Hardware has been affixed to the back so that it is ready to hang right out of the box. Just finished a new piece! 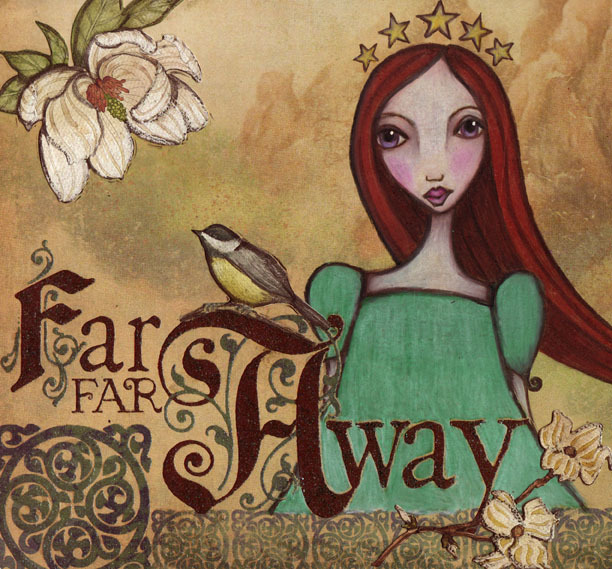 This season is just so busy....between preparing for Santa's arrival, our Winter Solstice Vegan Potluck....and just keeping the household up a running..it is very hard to get much studio time! Featured Item of the Day! $30 off her regular price...December 8th only! 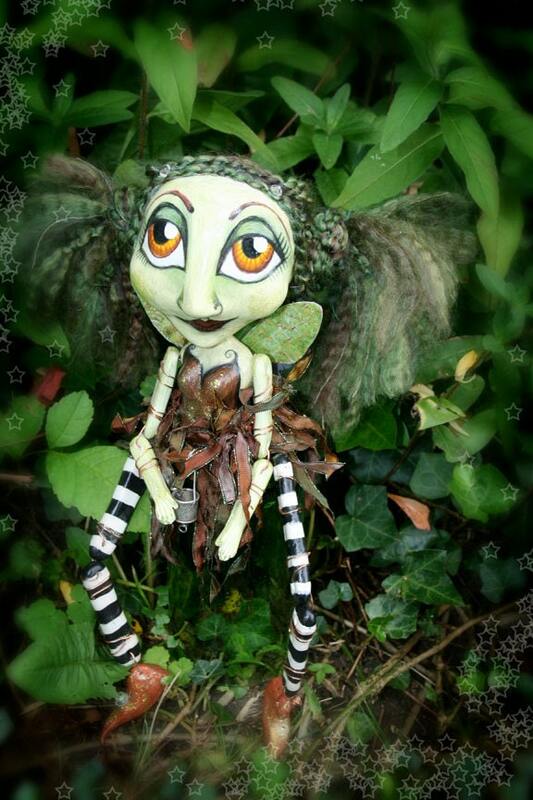 Meet Vera...Faerie of the Earth! 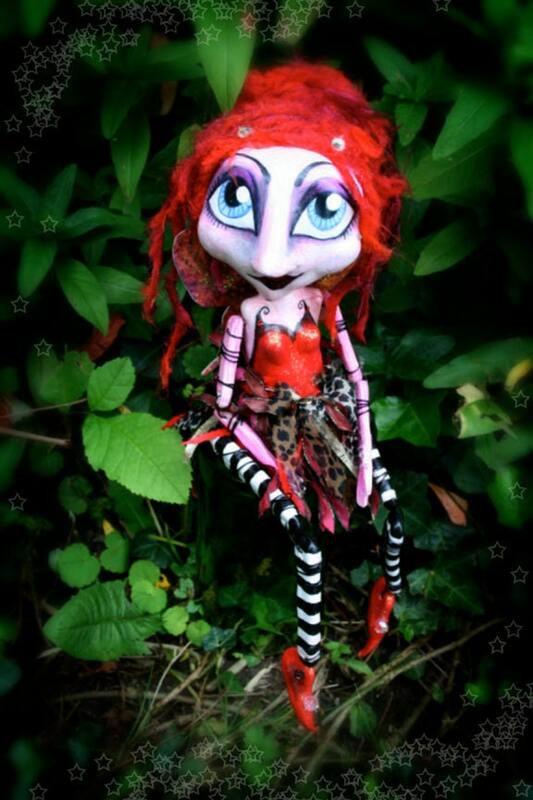 Vera is a lovely art doll faerie looking to be adopted. 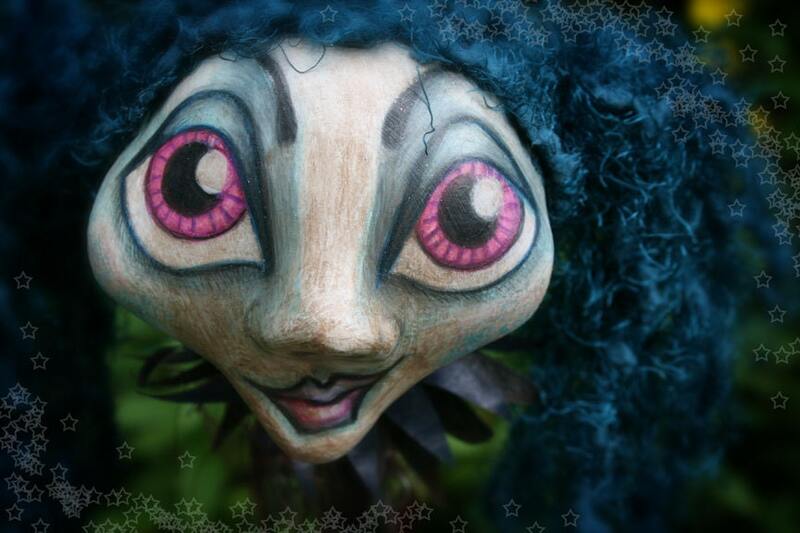 She loves to watch the flowers grow and the seeds burst from the rich spring dirt, enjoys nibbling on root vegetables, and talking to the woodland creatures. 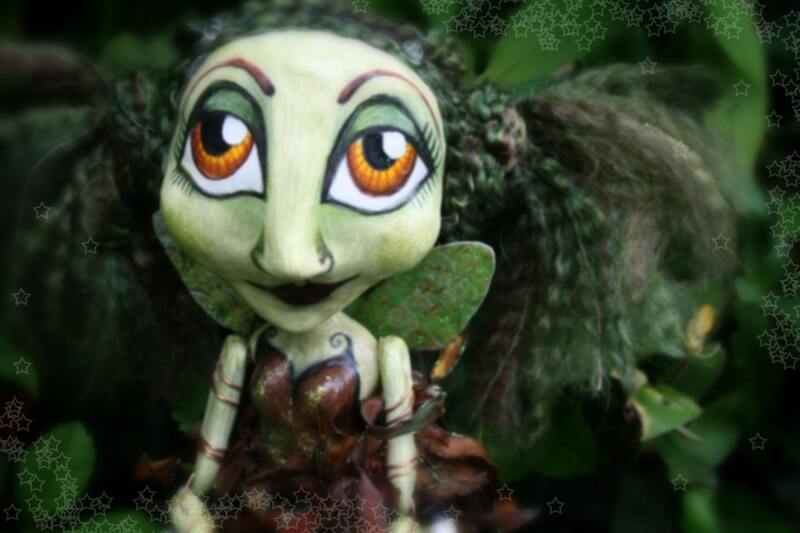 Vera is hand-made from a wire, wood and aluminum armature covered in paper clay. 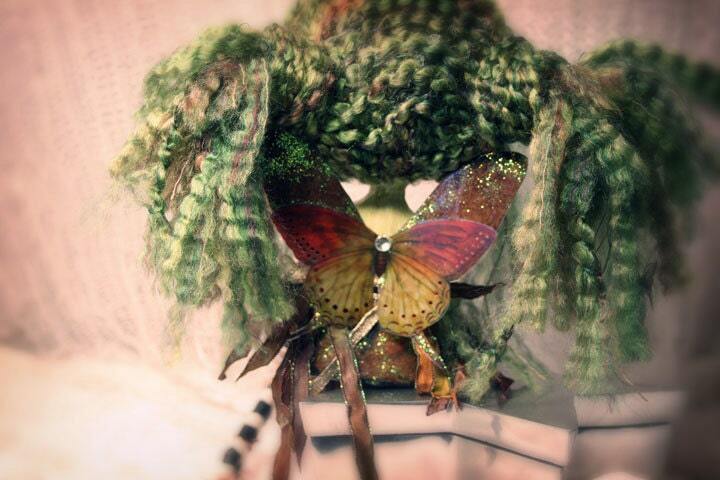 Her wings are made from mod podged paper and other mixed media and sprinkled with faerie dust. 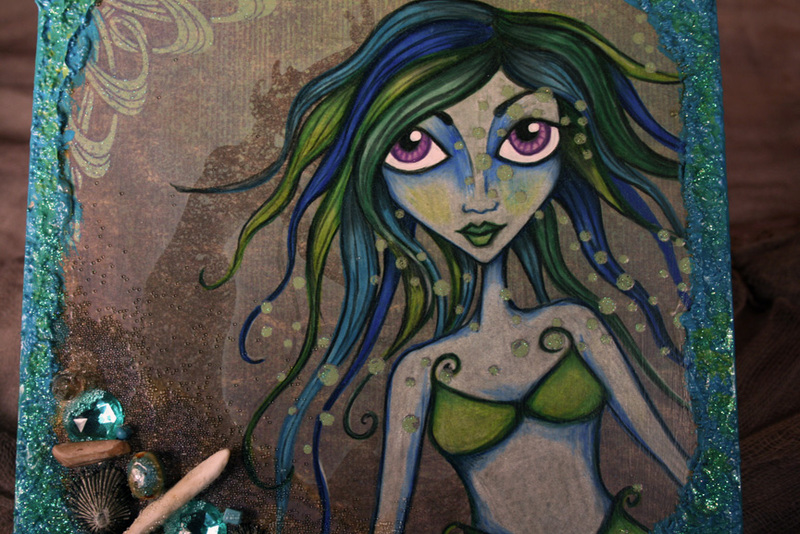 Her hair is made from 100% acrylic yarn and her face and body were drawn and coloured with colored pencils and acrylic paint. 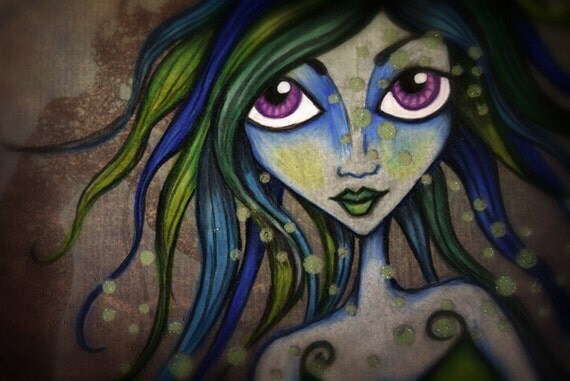 She is also adorned with beautiful crystals in her hair, on her nose (appears to have a pierced nose) and on her shoes. Her limbs were attached with copper artist wire. She has been protected with a mod podge hard coat. She is wearing a skirt made from hand-dyed ribbons and metal trinkets. 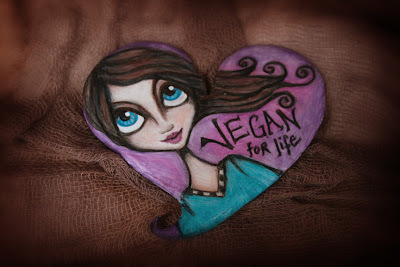 She is made from all vegan products and is approx. 14 inches tall. When shipped she is packed securely in lovely papers and ribbons within a sturdy box and comes with her very own adoption papers. A perfect gift for yourself or a loved one! Featured Item of the Day! $30 off her regular price...December 7th only! 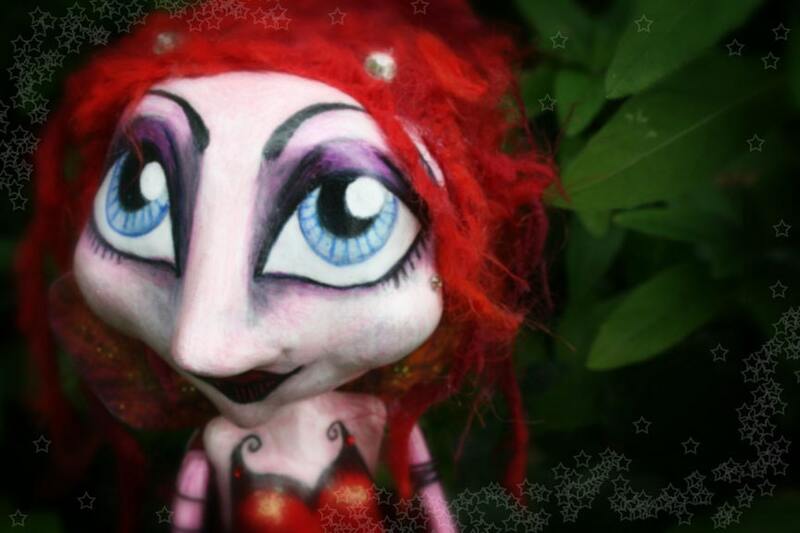 Antonia is a lovely art doll faerie looking to be adopted. She loves the color red, sipping on Merlot and a good paranormal romance novel. 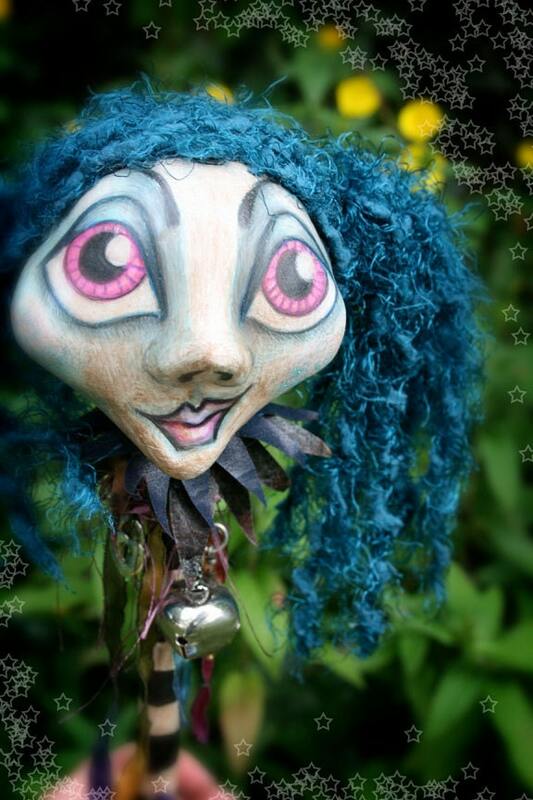 Antonia is hand-made from a wire, wood and aluminum armature covered in paper clay. 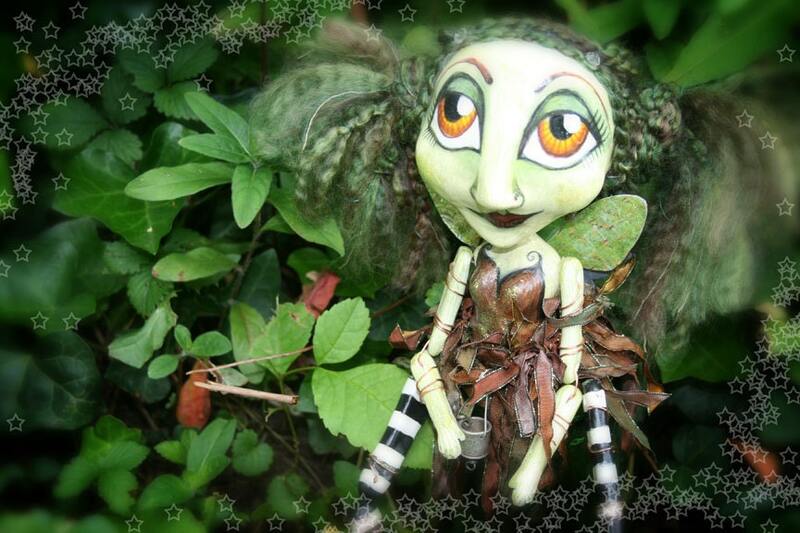 Her wings are made from mod podged paper and other mixed media and sprinkled with faerie dust. Her hair is made from 100% acrylic yarn and her face and body were drawn and coloured with colored pencils and acrylic paint. Her limbs were attached with black colored copper artist wire. She has been protected with a mod podge hard coat. She is wearing a skirt made from hand-dyed ribbons,leopard print fabric,red ribbons and metal trinkets. She is also adorned with beautiful crystals in her hair, on her cheek and on her shoes. 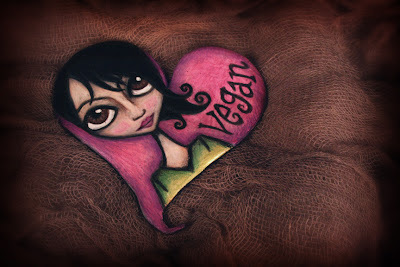 She is made from all vegan products and is approx. 14 inches tall. Featured item of the day! $20 off her normal price! A Marotte is a prop stick or scepter with a carved head on it, also know as a Jester Stick. 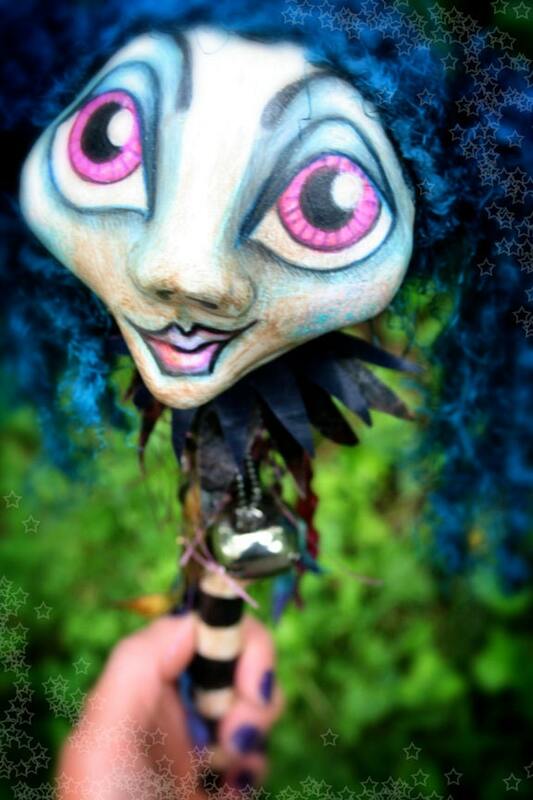 Give her a little jingle jangle and this spooky little scepter will make you feel like a creepy little kid again. 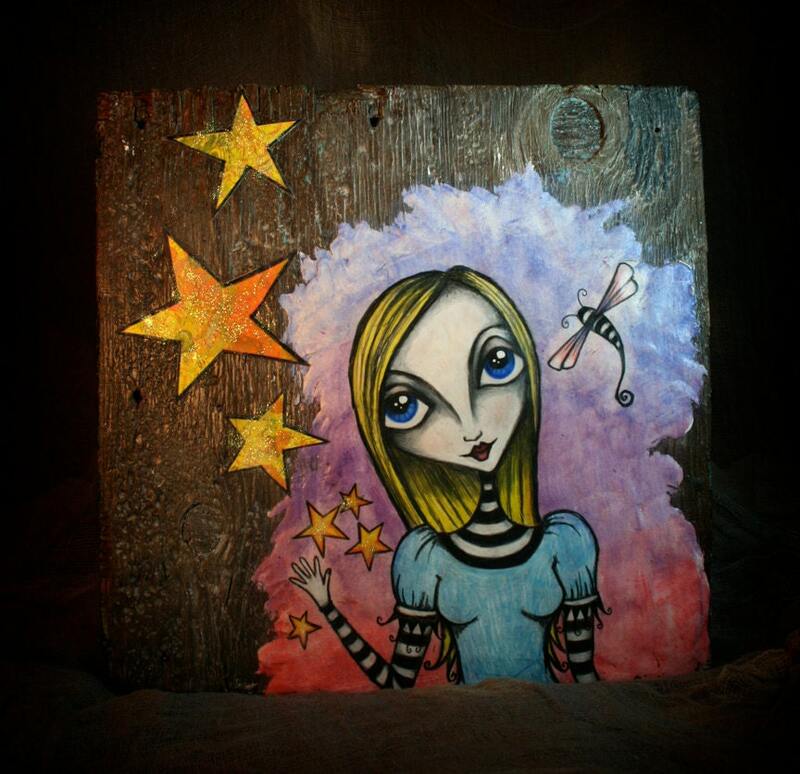 Drusilla is hand-made from a styrofoam ball, wood, colored pencils, acrylic paint and paper clay. 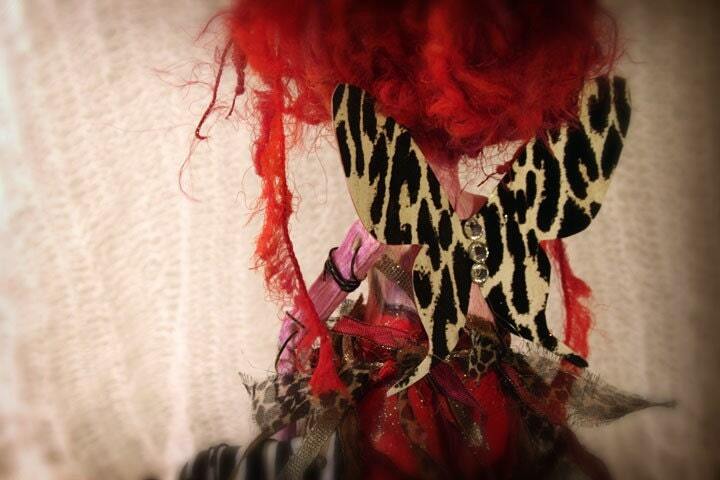 Her collar is made from mod podged paper and fabric and other mixed media. 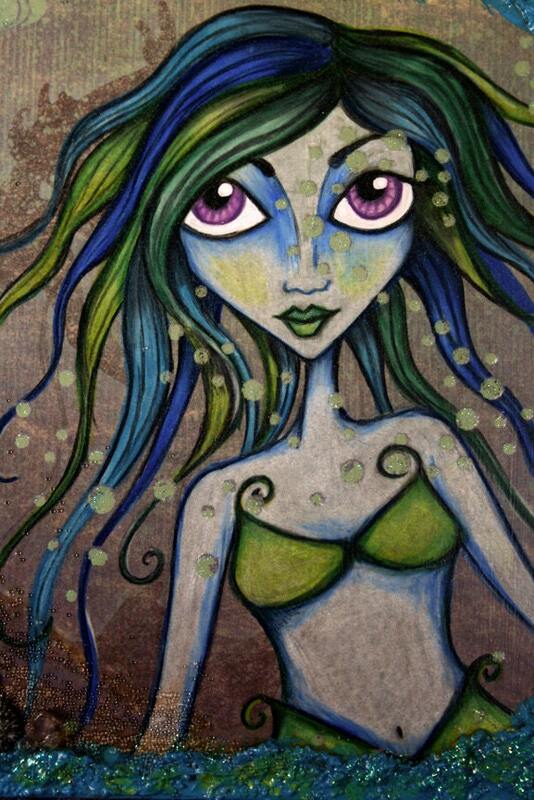 Her hair is made from 100% acrylic yarn and her face and body were drawn with colored pencils and acrylic paint. She has been antiqued to give her an aged look and protected with a mod podge hard coat. 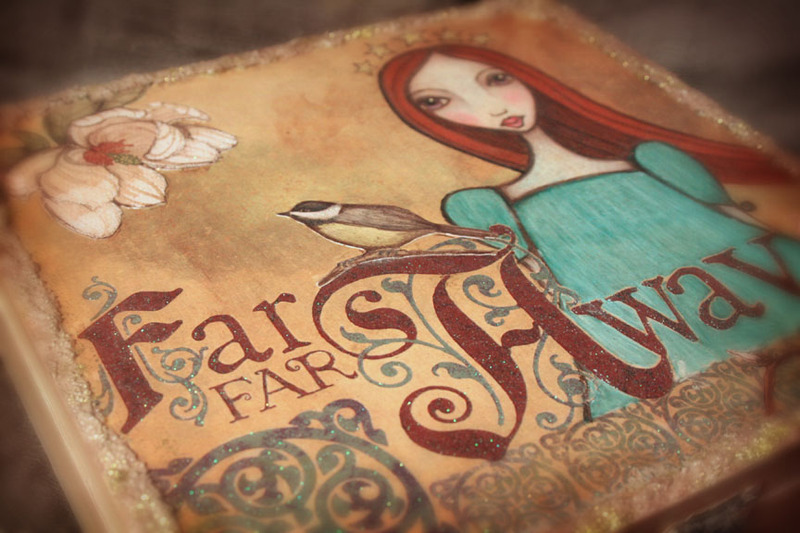 She is decorated with hand-dyed ribbons and metal trinkets. She is approx. 11 inches tall. 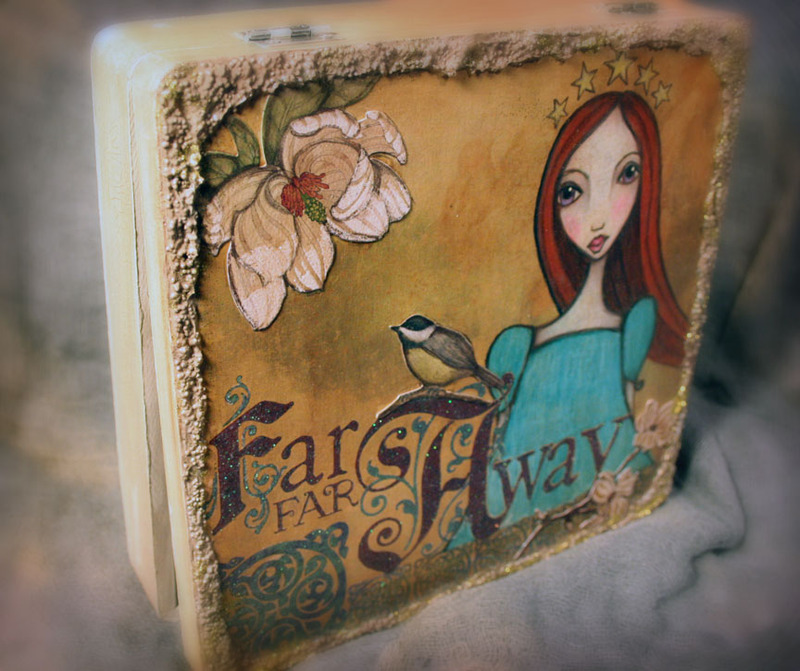 When shipped she is packed securely in lovely papers and ribbons within a sturdy box.